Climate change is an atmospheric warming (or greenhouse) effect largely being caused by human activities that generate emissions of CO2 and other greenhouse gases. 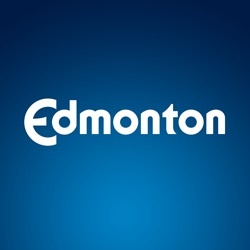 The City monitors greenhouse gas emissions to track Edmonton's contribution to climate change. Staff calculate Edmonton's greenhouse gas emissions using the Global Protocol for Community-Scale Greenhouse Gas Emission Inventories, which is an international standard that allows the Edmonton to be compared with other cities around the world. This approach includes tracking vehicle, train and airplane fuel use, natural gas used to heat buildings, electricity used for industrial, commercial and residential purposes, and landfill emissions, as well as CO2 absorption from our urban forest and agricultural land areas. This data set contains the data behind the Corporate GHG Emissions Measure on the Citizens' Dashboard. The City monitors greenhouse gas emissions from its corporate operations as part of its commitment to lead the community in reducing emissions and ensuring Edmontonians live in an environmentally sustainable city. Staff calculate city operations' greenhouse gas emissions using international standards. These standards include tracking emissions from the city's vehicle and bus fleets and LRT trains, natural gas used to heat City-owned buildings and recreation facilities, electricity used, and emissions resulting from services such as water, solid waste and wastewater treatment. This is a bar graph of the greenhouse gas emissions from city operations over time.